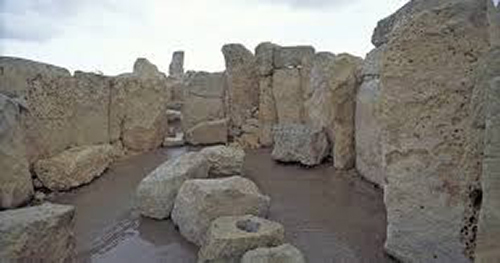 England: Stonehenge - Enjoy the rare privilege of slipping past ropes that keep tourists at bay and walking among the towering stones of Stonehenge on the Salisbury Plain of England. Amalfi, Italy: Visit a 13th Century Paper mill hosted by the last in the line of a multi-generational Amalfi lemon farming family. In a family-style outdoor kitchen with spectacular views learn traditional recipes and techniques in a cooking class concluding with a traditional Amalfi lunch. Valencia, Spain: The Silk Exchange - Valencia was the final stop on the Silk Road, a stop giving riches to the city in the 15th century. Only one man alive is able to work the 5000-thread loom and produce the last pure velvet of this tradition. A complex process extravagant to witness, this skill will be lost upon his retirement. So… hurry up. Gibraltar: Gorham's Cave Complex is one of the world's most important sites for understanding the "global story" of human evolution and adaptation. Join scientists involved in "unearthing" these rich discoveries, in the heart of the cave so deep that only 120 people can access it each year. Valletta, Malta: Hagar Qim is the oldest freestanding megalithic temple in Europe and likely an ancient shrine to Mother Earth. Join renowned archaeologists at this important excavation as the history of ancient civilizations comes alive. A restricted access chamber will be made available as you go behind the scenes in a private viewing room to view the Museum’s "hidden" collections. More ideas to come… and if you have any fantasy ideas for a group, email me at neil@allthingsmeetings.com. I’ll do some research and if it works I’ll write about it too. The Best Event Venue in Atlanta, Louisville, Pittsburgh, Scottsdale, Washington D.C.